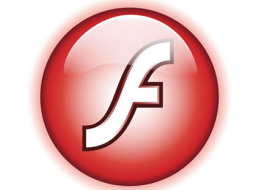 The adobe team has just installed the new and improved version of Flash player for all the operating systems, i.e. Mac, Windows, Linux. Its Flash Player 10.1, and the beta version for Android too is available in the android market. The final release is yet to come later this month. Performance and Power Management – There are varied memories and varied systems using the same flash player, so Adobe has ensured that the same player works in the same pace and performs well in every system. And a focus has been kept on the memory management too. The Flash Player team made a number of improvements to conserve resources, reduce power usage and extend battery life. Flash Player can now automatically reduce the power consumption for content running in the background on a non-visible browser tab to improve performance when users are multitasking. In cases where audio is playing in the background, playback fidelity is maintained. Video improvements – For desktops, Flash Player 10.1 introduces hardware-based H.264 video decoding to deliver smooth, high quality video with minimal overhead across supported operating systems. Using available hardware to decode video offloads tasks from the CPU, improving video playback performance, offering smoother frame rates, and reducing system resource utilization. Smart seek can easily make using Flash Player a DVR-like experience. Smart seek allows the video viewer to seek within a new “back” buffer so viewers can easily rewind or fast forward video without Flash Player calling back to the server, thus reducing the start time after a seek. Multi-touch – Many companies have been trying to launch and make tablet PCs and laptops with touch screen, and so Adobe has worked well on providing them the best experience with flash on touch-screens. Gestures like pinch, scroll, rotate, scale, and two-finger tap would be supported. There are several other improvements made, like the Browser Privacy mode and many more things to be explored in Mac OS. Download the Flash player for various OS from here. The flash player issue for browsers like Google chrome has always been there, and still people have to keep downloading the flash player for their browser for running flash player sites like Youtube etc. The video support, multiple monitors, and even the multitouch support is something really cool about the new version of Adobe flash player. Does it work well with Chrome?